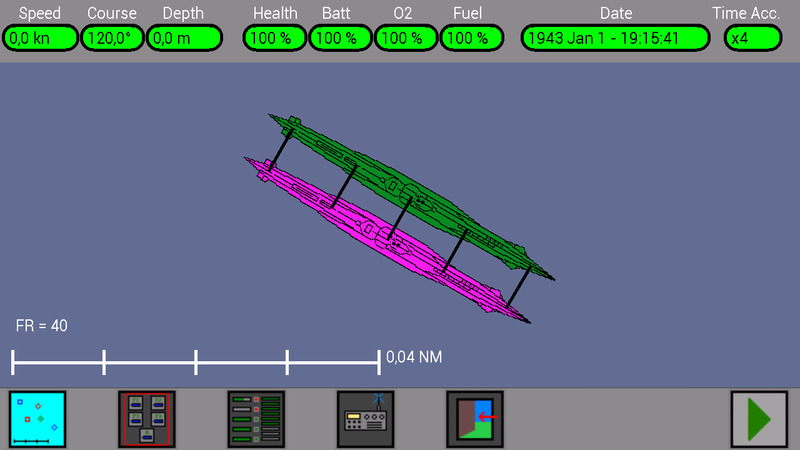 The Torpedoes Transport is a U-Boat VII-F submarine which can contain within 39 torpedoes and can be called during the game to replenish your submarine at sea, without having to return to a port. 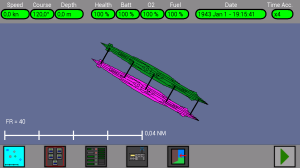 Note: The Torpedoes Transport is not available in the Demo version of the game. Fully charge your torpedoes (5 in the tubes and 9 as reserve). Recharge the fuel tank back to 100%. Completely repair your submarine to regain health to 100%. In the picture above you see the button for the call and the status of Transport (UNKNOWN). 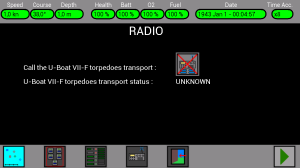 Its status is Unknown because the radio does not work if your submarine and Transporter are not both on the surface, then the button is disabled. 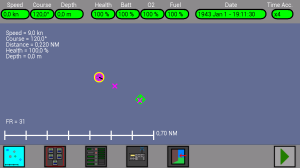 In summary, in order to call the Transport, it is necessary that your submarine is stationary (Speed ​​= 0) and at surface (depth = 0). If the status of the Transport is still Unknown, it means that the Transport probably is not at surface because it is running away from some enemy ship, in this case you can continue to play and try again after some time. At the beginning of each new game the Transport is placed in a random position of the map, if it is destroyed then another Transport reappears on the right edge of the map. If you call the Transport and then move your submarine, the Transport will come anyway near the location where you have called it, but then it will stop and will wait for a new call. 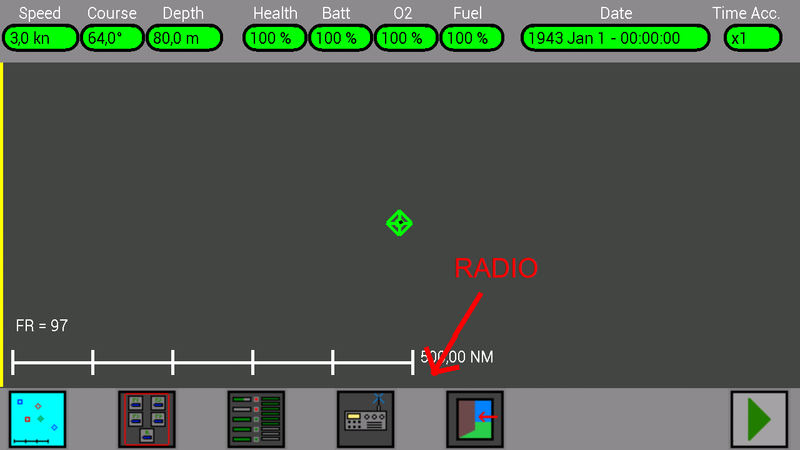 To call the Transport again, your submarine must be stationary on the surface and at least 0.4 miles (0.4 NM) away from the Transport. The Transport is often very far from your submarine, it may be convenient to call it occasionally however, so it can be always near during the game. At this point start automatically refueling up to 100%, the repair of your submarine up to 100% health and, very slowly, the supply of torpedoes (it is better to increase the acceleration of time). 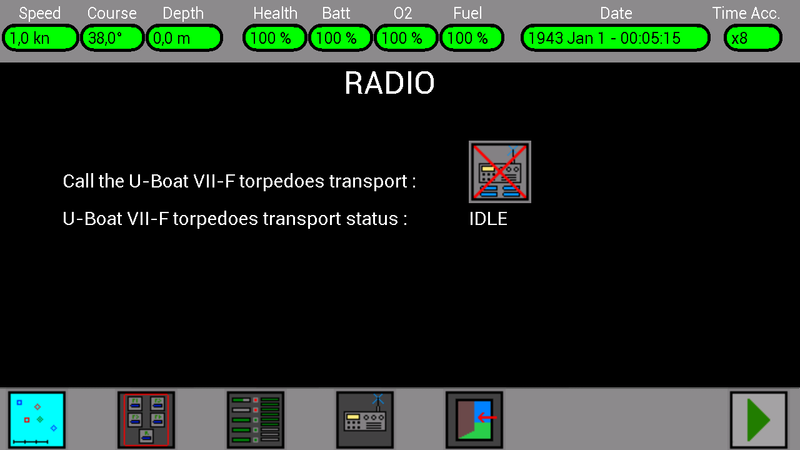 When fueling is completed and you want to break away from the Transport (or if you get some enemy ship ! 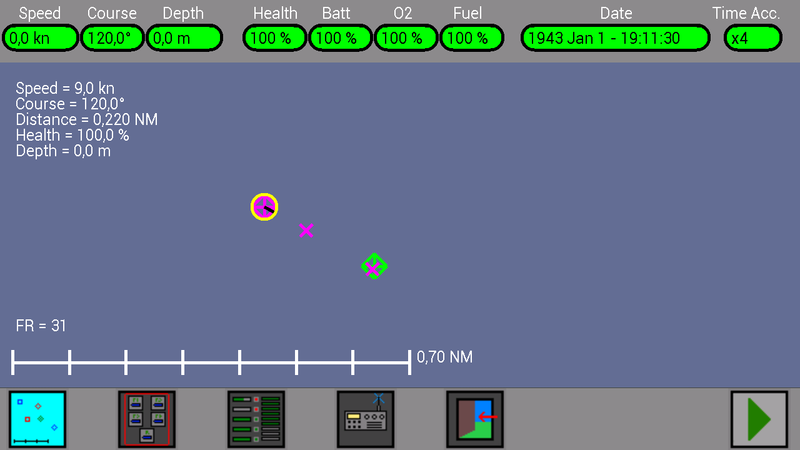 ), just move your submarine forward or backward or dive. 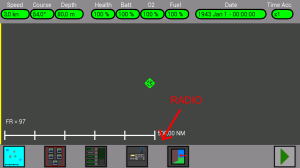 Be careful not to bump the Transport during the maneuver, otherwise both submarines will report damage.